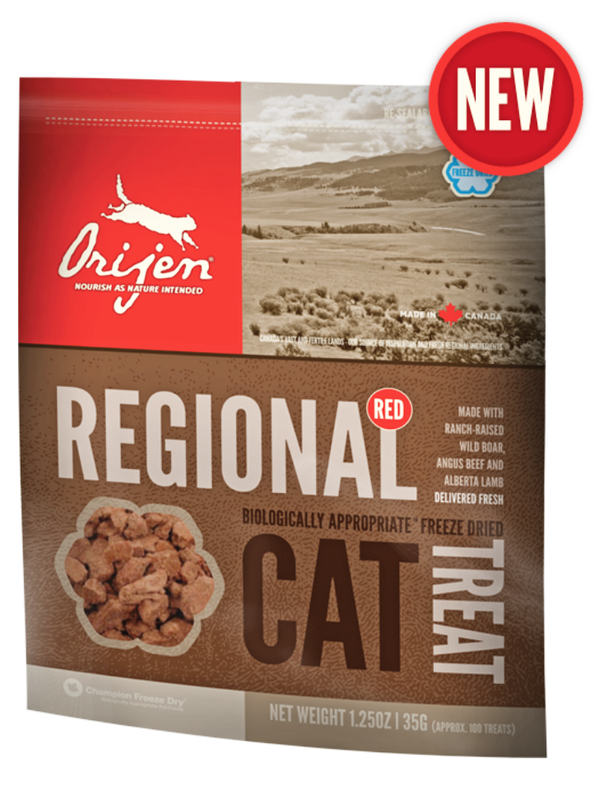 LOADED WITH GOODNESS AND TASTE, OUR REGIONAL RED TREATS FEATURE RED MEATS, RANCH-RAISED ON LOCAL RANCHES BY PEOPLE WE KNOW AND TRUST, AND DELIVERED FRESH SO THEY’RE BURSTING WITH GOODNESS. 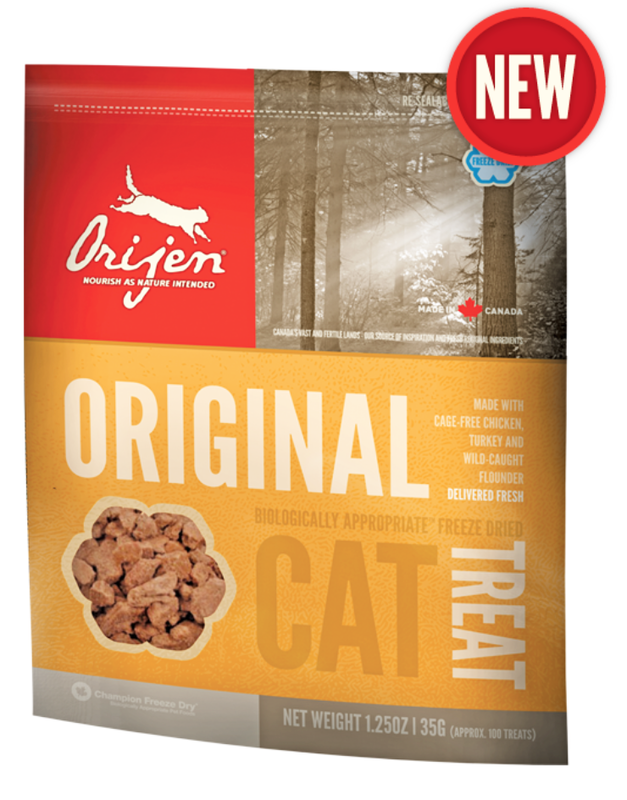 All cats are carnivores, biologically adapted to thrive on a varied diet of fresh whole meats. 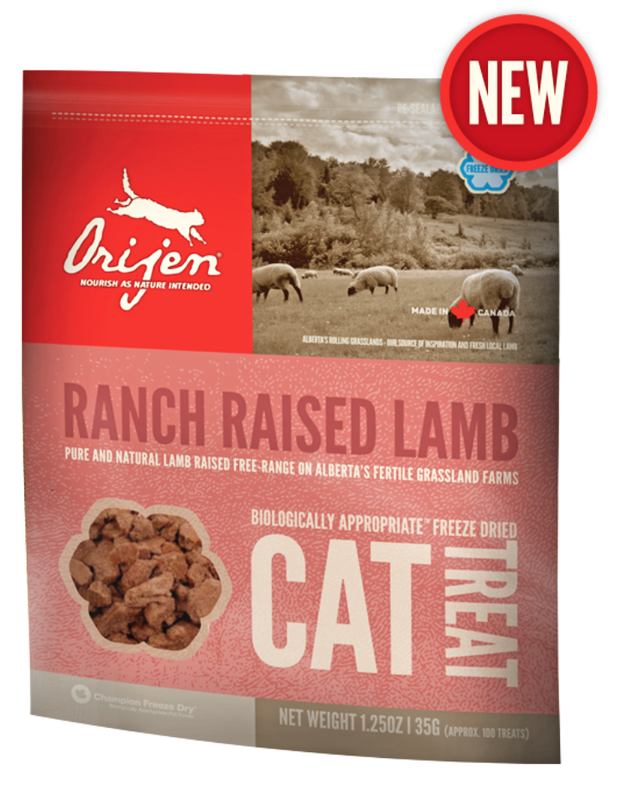 That’s why we loaded ORIJEN REGIONAL RED CAT TREATS with 100% ranch-raised bison, wild boar and local lamb — all delivered fresh in WholePrey ratios so you can indulge and nourish your cat at the same time. 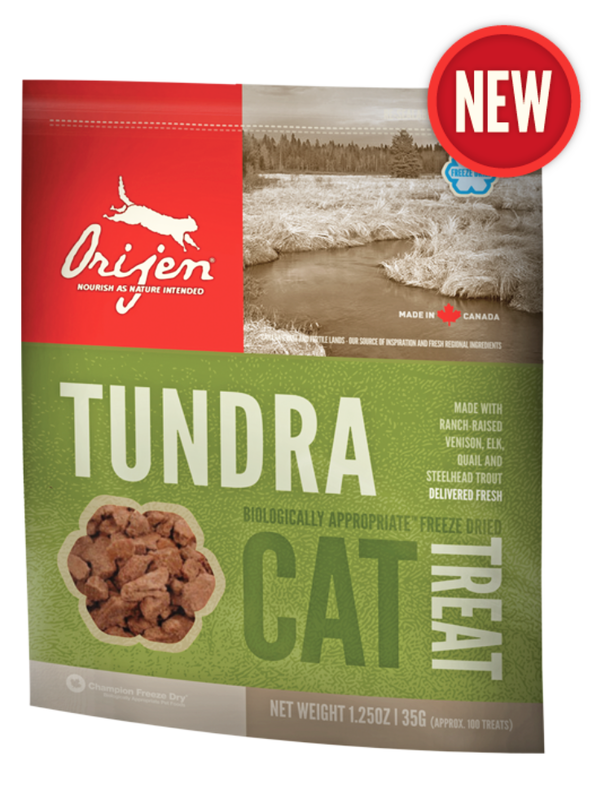 Made without cooking or preservatives, ORIJEN’s Biologically Appropriate™ treats are freeze-dried to lock in the natural goodness and amazing flavors of our authentically fresh and regional meats into a reward your cat will love, guaranteed.